Just because Christmas is over doesn't mean that you're done with the gift giving! There's all those people on the list you missed, New Year's Eve parties to attend, and any other excuse you can come up with to avoid your family! Which leads us to Spread the Warmth Gift Idea #3: Alexander Valley Vineyards Wines. I came across this vineyard almost six months ago as part of a wine tasting at Catch at Hotel Casa Del Mar in Santa Monica, and Holey Moley and Boy Oh Boy all in one! Alexander Valley Vineyards is located on Highway 128 in northern Sonoma County, 75 miles north of San Francisco. AVV was started in 1963 by the Wetzel Family who boldly planted premium grape varieties in Sonoma (one of the first in the are). 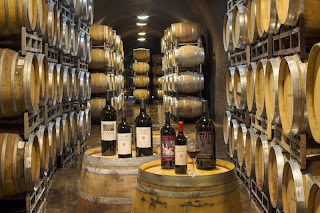 The Wetzels sold the grapes for a number of years to other wineries and often produced a little homemade wine in the estate's adobe as a family project. 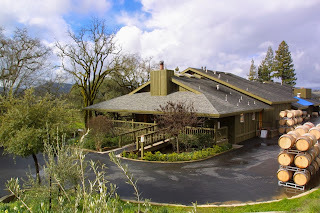 In 1975 the Wetzel family built a small winery and Hank Wetzel, oldest son of Maggie and Harry, produced Alexander Valley Vineyard’s first wine in 1975. 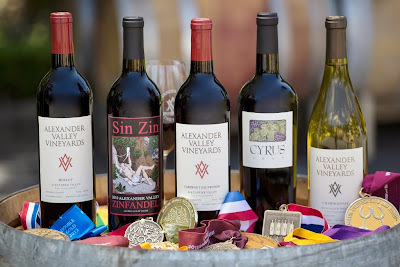 Alexander Valley Vineyards is best know for its Zin Trilogy: Temptation Zinfandel, Sin Zin, and Redemption Zinfandel (prices run in the $20 range). In the beginning the Wetzel Family made four wines: Chardonnay, Cabernet Sauvignon, Riesling and Gewürztraminer. During this time their estate grapes, including a small section of Zinfandel, were sold to other wineries. In 1978 the pickers came and harvested the ripe primary clusters of their Zinfandel. AVV founder Hank Wetzel noticed that the estate had a large secondary crop of Zinfandel grapes on their hillside vines that ripened some time after the pickers had finished. Frugal winemaker that he was, he mentioned this “free” crop one evening to the rest of the family after sharing a few bottles of wine over a meal. It was decided that the Weztel Family would pick this later crop and make a little homemade wine for friends and family. When it came time to bottle and label the wine, family friend and employee Dennis Hill browsed through an old art history book and found a 17th German etching, titled “Des Knabben Wunderhorn”, meaning “The Horn of Plenty.” Katie Wetzel thought the image looked perfect for a wine label, and its bacchanalian character inspired her to name their rich and robust wine: Sin Zin. My absolute favorite wine I tasted from the Alexander Valley Vineyards is their CYRUS, which is their tribute to the Alexander Valley and Bordeaux grapes (these bottles are still a great buy in the $50-$60 range!). AVV takes the best of lot to make this luscious blend. CYRUS is named for Cyrus Alexander, a 19th century adventurer, rancher, gold miner, and founder of the Alexander Valley. The staff of AVV say that he overseas aging operations since he’s buried on hill over AVV's wine coves. Alexander Valley Vineyard's 2006 CYRUS received 92 Points in Wine Enthusiast Magazine and was Grand Champion, Best of Show at the 2011 Houston Rodeo Wine Competition. The wine is aged in French Oak for a year, 2 years in the bottle, and then AVV has a release party closest weekend to March 15th (which was Cyrus Alexander's birthday). Its taste includes intense aromas of black cherry, plum, cassis, and chocolate combine with rich complex fruit, spicy oak, and velvety mouth feel. This year Cyrus was 206 years old! One last reason to explore AVV is they're green (always a great excuse to drink wine)! 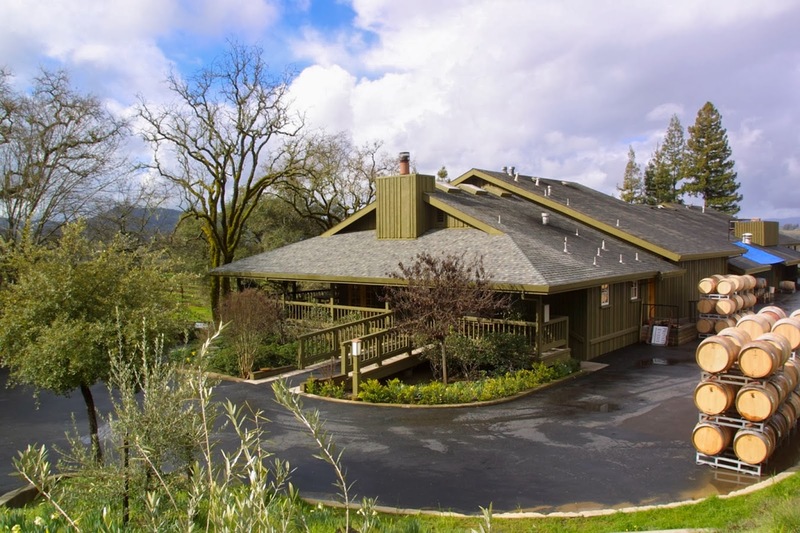 Alexander Valley Vineyards has been certified as a Green Business in recognition for the steps they've taken to follow the best environmental practices and conserve resources (1 of only 14 in Sonoma). As planet do-gooders they've installed solar panels to generate power for winery operations from pumps to computers to bottling equipment, constructed 25,000 square feet of wine caves, using natural insulation properties to age and store their wine and eliminating the need to build an energy gulping air-conditioned warehouse for that purpose, and they plant cover crops like rye grass and peas, preventing erosion and providing nutrients for the soil while eliminating the need for chemical fertilizers. All reasons to grab a bottle to taste out 2013 and toast in 2014! 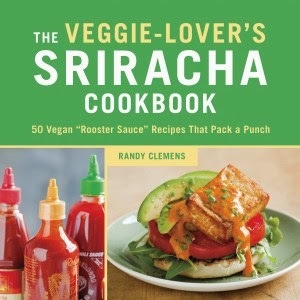 Randy's latest, the Veggie-Lover's Sriracha Cookbook, is a Vegan/Vegetarian companion to the successful Sriracha Cookbook, featuring 50 inventive, vegetable-based recipes with gluten-free variations. Despite what the City of Irwindale might say, devoted Sriracha addicts know that this fiery red condiment adds the perfect spicy kick to their favorite foods. So for those who want to take it to the next level, Mister Randy Clemens shows how versatile this garlicky, pungent sauce can be when paired with the almighty veggie in everything from breakfast to dessert, appetizers to entrées. Delicious plant-based recipes include California Benedict with Sriracha-Chive Hollandaise, Cajun Quinoa Cakes with Lemon-Dill Sriracha Rémoulade, and Maple-Sriracha Doughnuts. Featuring 50 flavor-packed, inventive combinations of vegetables and Sriracha that showcase an exciting range of fruits, grains, and veggies, without the processed fake meat found in many vegan recipes. 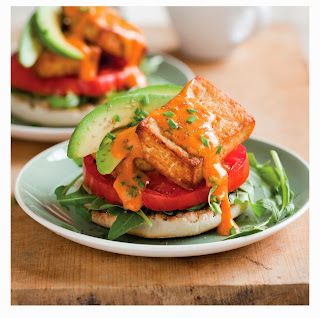 The Veggie-Lover’s Sriracha Cookbook will take your rooster sauce obsession to bold, new heights! Living a delicious life is more than the just ingredients; it's knowing how to pair each element perfectly together. 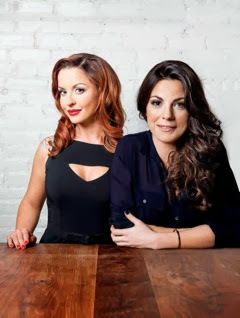 This holiday season the Edible Skinny wants to spread the warmth (and secrets) of New York foodie goddesses, Emma Hearst and Sarah Krathen and their delectable lifestyle. These culinary beauties recently made their cookbook debut with Sorella: Recipes, Cocktails & True Stories From Our New York Restaurant. As the perfect holiday companion, Sorella features over 100 recipes adapted from the restaurant’s Piemontese Italian menu, guided by the narrative of how Emma and Sarah went from culinary school friends to budding business partners, driven by a shared dream of opening a restaurant. “Sorella,”which means sister in Italian, is a tribute to the deep bond created between friends when they create something delicious together. These foodie femmes, known for their feisty Northern Italian fare, fetching good looks and family-style spirit, make eating (and cooking) well, look elegant and effortless. 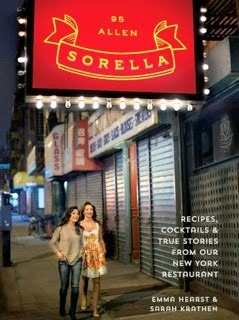 Besides the book being coffee table centerpiece with “full-color photographs, visual vignettes and unforgettable anecdotes,” it also offers insider secretes on how to recreate Sorella’s old-world glamour, taste by taste, in your very own home. From the passed down wisdom of grandmothers to a starring role on Iron Chef, this cookbook shows living a flavorful life takes courage and creativity. 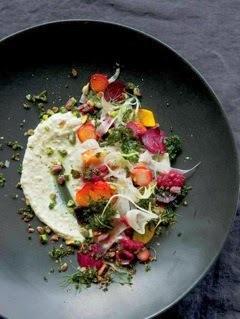 With a focus on hospitality, through recipe and renditions, Sorella gives chefs the tool they need to make every meal more beautiful from the next. This month the Edible Skinny is doing a feature entitled "Spread the Warmth." It is focused around foodie education and appreciation gifts and activities during the holiday season. From wines to drink to gift ideas to ways to help those in need, it's just our way to spread a little bit of holiday cheer!!! Fancy Hats, Etiquette, and Victorian Tea at 600 Main! With the fourth season of Downton Abbey upon us we are reminded of our want for civility. 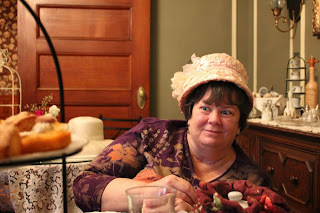 Of a yearning for yesteryears, of a time of fancy feathered hats, fine china teacups, and the art of etiquette. 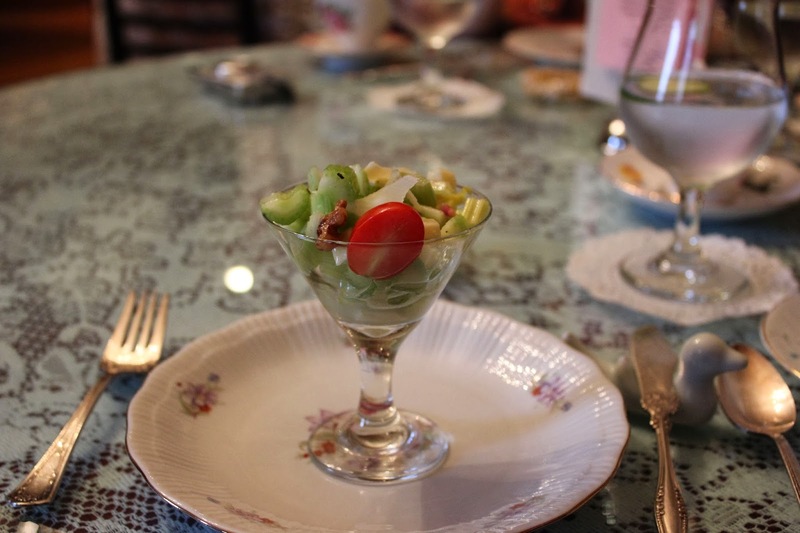 A few weeks ago the Edible Skinny found such refinement at 600 Main. 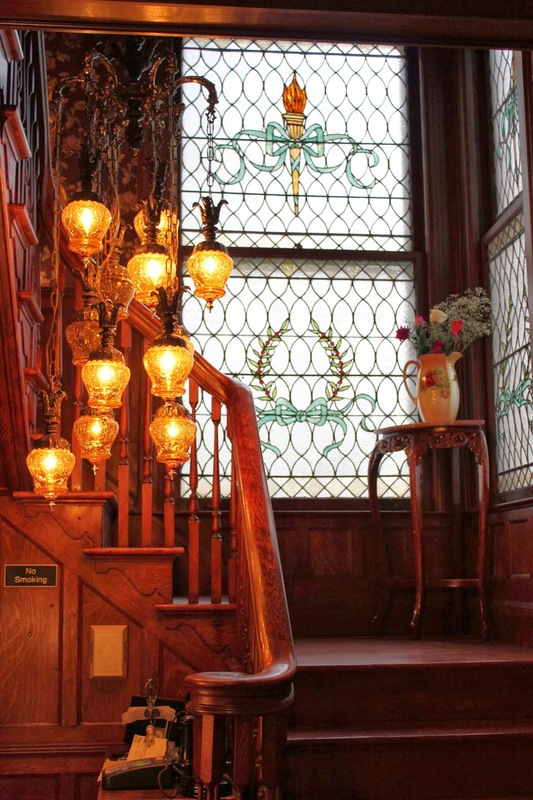 For nearly 120 years the Mathis House has occupied an elegant, tree-lined block in Toms River, New Jersey where it has stood out as an exquisite example of period architecture. 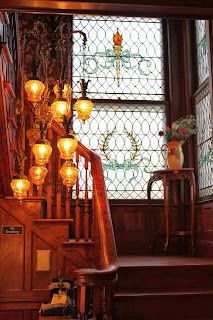 In the last few years 600 Main has become a Bed and Breakfast owned by Susan and John Notte, but before that, for a brief period of time in its past, my mother, her three sisters, and parents resided at this Colonial Revival mansion. So for my Mom’s birthday this year, my aunt and I treated her to Victorian Afternoon Tea at the Mathis House so she could revisit 600 Main, to reenter the world of poise, polish, and pots of tea. 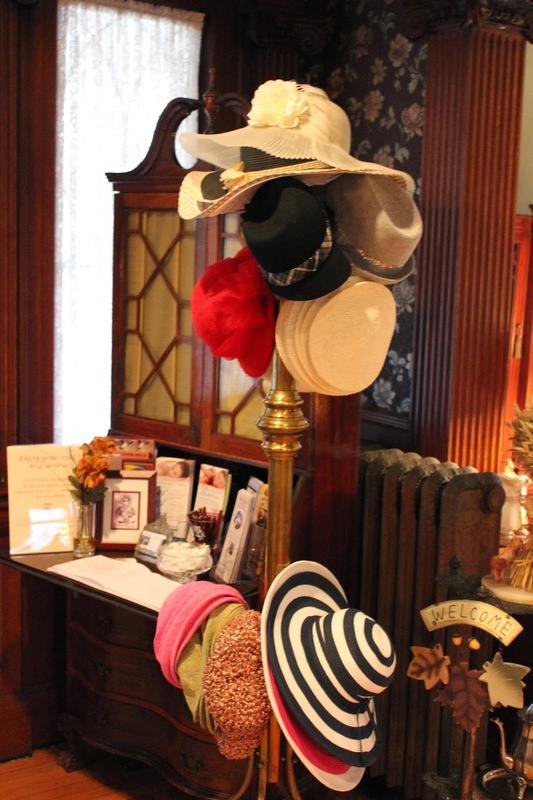 Crisp linens, fine china, and tiered luncheon servers were all part of the festivities of this presentation that is hosted Wednesday through Saturday, from 12:00pm to 4:00pm at 600 Main. 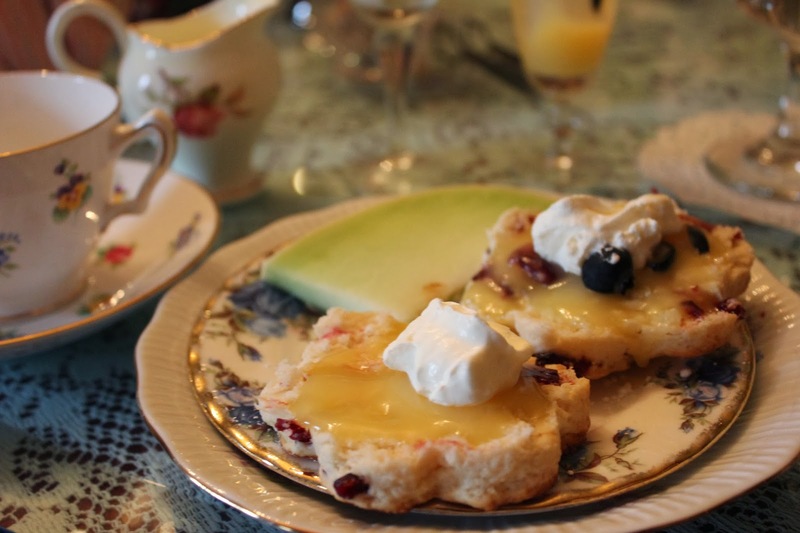 Service includes a freshly brewed pot of tea of your choice from a list that is longer than the Dowager Countess’ social playbook, soup of the day, salad of the day, a homemade scone with clotted cream and lemon curd, and an assortment of tea sandwiches and savories. Traditionally tea in Britain would be served in the afternoon, such as 4pm, at intimate small gatherings of specially invited guests. This “afternoon tea,” was also known as “low tea,” is actually what most people (read: Americans) think of when they hear the words “high tea.” The Brits called it “low tea” because it was traditionally served on low tables. (High tea was actually a working class meal served on a high table at the end of the workday, shortly after 5pm; it was really more of a working class family meal than an elite social gathering). 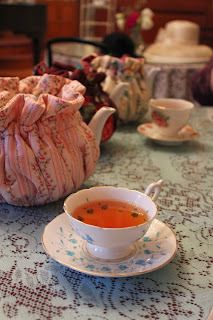 It is said that the afternoon tea tradition was established by Anne, Duchess of Bedford. She requested that light sandwiches be brought to her in the late afternoon because she had a “sinking feeling” during that time because of the long gap between meals. She began to invite others to join her and thus it became the tradition we now know it to be. In regards to preparation, the best tea is only as good as the water with which it is prepared. Start with fresh, cold, good-tasting water. It’s best to use filtered or bottled spring water with a natural mineral content that is neither too hard nor too soft. Distilled water is not recommended since water purified of its mineral content produces a flat tasting infusion. Never use hot tap water or water that has already boiled for a long time as this will result in a flat and dull tasting tea with little aroma. It is important to preheat the pot or cup in which the tea will be steeped. If hot water is poured into a cold vessel, the temperature of the water will drop too quickly and the full flavor of the tea will not be extracted. To preheat the pot: pour a little of the boiling water from the kettle into the pot and then pour this water off into the drinking cups to warm them. The etiquette of the tea table itself has many ins and outs. Sugar is placed in your teacup first, then thinly sliced lemon. There is much debate over when you should pour the milk (and yes I did just write that sentence!). At one time it was tradition to add the milk in first before pouring your tea from its teapot (this piece of tea etiquette is so embedded in British culture that there is a runner in the upcoming Disney comedy “Saving Mr. Banks” about it). This was done to prevent the glaze on delicate teacups from cracking. Though others say that since we do not have that problem today, you should add the milk after the tea so that you can judge how much to use based on the color change. Either way one rule reminds steadfast: never use milk and lemon together. There is even etiquette to picking the cup up. You must hold the handle of the teacup using your thumb and your first one or two fingers. There is no need to stick out your pinky (people who erroneously do this have really only picked up an exaggeration of how people sometimes tilt their pinky upwards to balance the cup). Do not loop your fingers through the teacup handle or cradle the side or bottom of the cup with your hands. 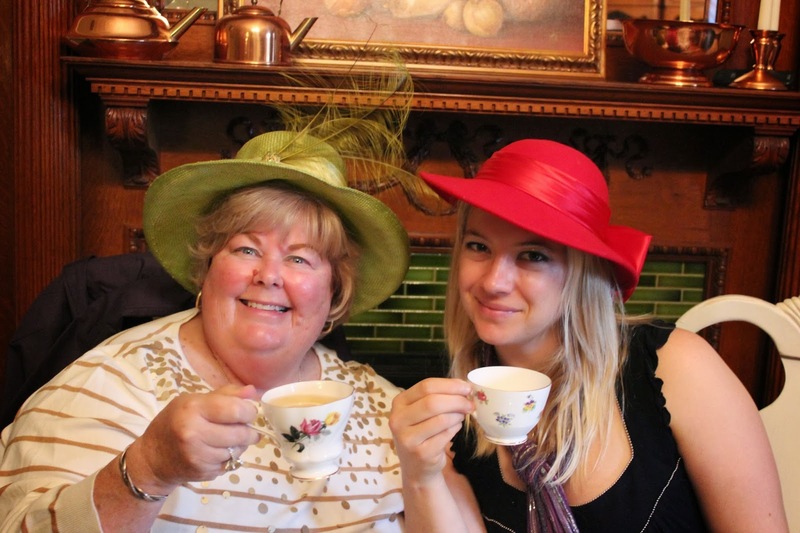 A guest should look into the teacup when drinking, never over it. The sound of the spoon hitting the sides is considered a major faux pas! (Another sentence I never expected to write!) One should stir their tea without any sound, moving the spoon in a gentle, back and forth arch motion making it really more of swish more than a common stir. When through stirring, remove the spoon and place it on the saucer behind the teacup and to the right of the handle. Of course, never take a drink of your tea without removing the spoon first, and please never, ever sip from the spoon. When you are not drinking tea, place the cup on the saucer. If seated at a table, never pick up the saucer. If standing, you may lift the saucer with the cup. Scones are a traditional part of a proper British tea. To enjoy you should first split the scone with a knife. Since the knife is now used, either place it on your knife rest, or lay it gently on the side of your plate. Jam or curds is usually placed on the scone and then top off with a dollop of clotted cream. Simply spoon a small amount of jam or curds onto your plate, as well as some of the clotted cream. Spread the jam, curds, and clotted cream onto your scone. Never use the serving spoon for this task. Now all of these Emily Post rules were interesting to learn, but they in no way hindered the festivities, instead they only augmented the fun of drinking tea like a queen! 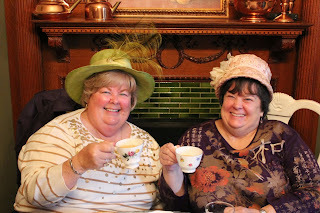 From soup to teacakes this day was all about the fun of being refined, of a grand event, Victoria Afternoon Tea, in a grand house, 600 Main. In a few weeks we will all reenter the highbrow posh of the Crawleys on the small screen but for anyone looking to experience that world in the here and now look no further than 600 Main. Congratulations to Our Desert Essence Contest Winners! Congratulations to Miss Shea Puskas for winning Edible Skinny's first contest: Bundled Up and Ready to Glow! This Barnegat Light, New Jersey native wrote her best Wintertime beauty secret to be, "coconut oil is my wintertime savior! I put it in my hair and on my skin before bed. It looks and feels as oily as you can imagine, but after a morning shower my skin and hair feel renewed." She will receive a Healthy Holiday Glow Gift Pack courtesy of Desert Essence. As for our runner up Miss Erin Breen Kelly from West Haven, Connecticut, it turns out that sometimes the best advice is the simplest. Her advice of "Drink lots of water!!!" might seem like common knowledge, but it is one of the soundest pieces of advice to stay hydrated during the dry winter season. 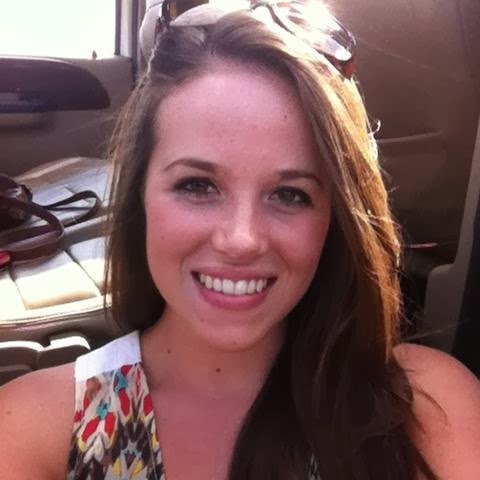 Erin will receive a Mini Healthy Holiday Glow Gift Pack courtesy of Desert Essence. Thank you so much for everyone who participated in this contest and for making our Life Delicious!